Hadda (real name Alex Souza, also known as "niggalex") was born in 1978 in Ceilandia, a popular town in the Brazilian Federal District. In 1990 he moved with his family to Santa Maria, where he still lives today. It was in a local Hip Hop community shop were Alex worked, in Brasilia the capital city, that Hadda first met his the friend and musical partner "DJ A" (Allysson Lopes); and his first teacher of rap and music production, DJ Jamaika (part of the now defunct group Álibi). Hadda later formed his own rap group with partners DJ A and Yo Go, enjoying two years performing and partying at bars and parties around the Brasilian capital. Yo Go then left the group and today is MC of the group OtroPlano. 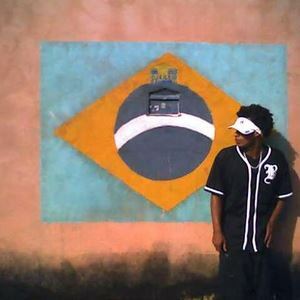 In January 2006 Hadda & DJ A released an addictive mashup of rap and jazz "Eu Represento", using styles and lyrics from the true heart of Brasília.